The 7th episode of this arc brings the collision of court politics and the military to the fore. Reinhard and Kircheis adapt to the new level of respect they get following their return, while Luneberg visits Ovlesser to try to form a pact to stop Reinhard’s progression only to be met with stern resistance for who he is. Reinhard and Kircheis then visit Annerose to catch up and following that meeting Kircheis is promoted because of Grimmelshausen’s recommendation. Kircheis visits him alone and after a brief and honest conversation about Reinhard, he leaves in haste. There are a few points worth discussing in this episode. First would be the wine tasting scene. 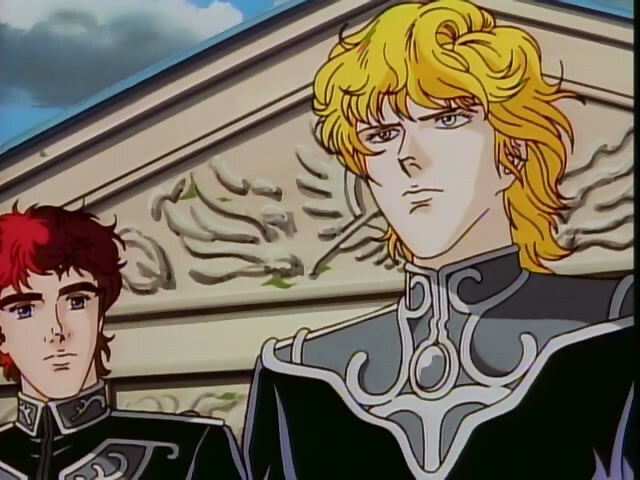 Reinhard and Kircheis are surprised at how differently they are treated now that the former is a Rear Admiral. 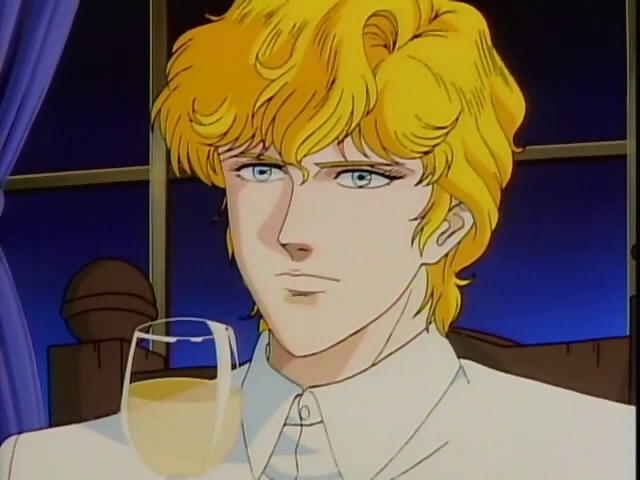 They get to drink wine which is a hobby that Reinhard thinks may be worth taking up since not having a hobby would be frowned upon. Similarly, not having a romantic interest is frowned upon as well, but Reinhard was clearly in no rush to get into that. Maybe I should take up this hobby, which so happened to destroy my father. Meanwhile, Luneberg and his wife paid Ovlessor a visit. The stuffed animals overwhelmed her, which embarrased Luneberg before Ovlessor even put his large frame down on the opposite couch. Luneberg’s diplomatic attempts were seen through quickly and Ovlessor was blunt about it. 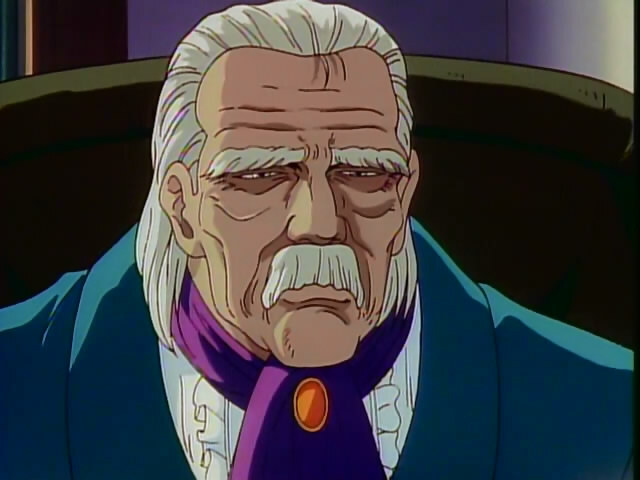 While he agreed that Annerose was a threat to the monarchy, and they both hated Reinhard, Luneberg as a mere ground combat expert was not worthy of cooperation from the higher nobility in trying to defeat Reinhard. Later, Luneberg was the topic of conversation among Reinhard and Kircheis. Reinhard wanted Kircheis’s honest opinion of Luneberg. At that point, he spilled the beans on everything he knew about his past. Reinhard was actually sympathetic over the fact that Luneberg’s wife did not love him. In fact, he mentally compared it to Annerose’s situation in being forced into marriage. However, that sympathy would never matter in a relationship between Reinhard and Luneberg. This might possibly be the most conventional outfit Annerose ever wore. They later had their appointment with Annerose where Kircheis not being promoted was the main topic of conversation. Annerose offered to have a word with the Kaiser to allow him to be promoted, but Kircheis strongly insisted that he was fine with how things were. The next day, the two of them received news that Kircheis had indeed been promoted, but based on a recommendation from Grimmelshausen. Reinhard felt that Kircheis had to go talk with Grimmelshausen, and he would do so alone. The conversation started conventionally, as Grimmelshausen minimized the importance of his position, while stating that he felt Kircheis had to be promoted because of what he did in battle. 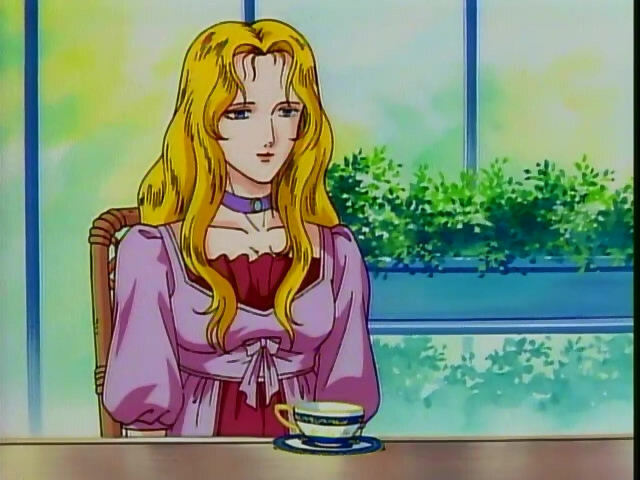 However, the situation quickly turned when they talked about Reinhard. Grimmelshausen said he felt a raw ambition in Reinhard that he had never seen and that he shouldn’t be so hasty about life. Kircheis understood the implication and left as though he were chased out. Worried that he would be seen as assisting someone trying to bring down the Empire, Kircheis later spoke to Reinhard about the meeting. He reiterated that he needed Kircheis to watch his back. Fortunately, when the next round of assignments were announced, Kircheis was once again in a position to serve under Reinhard. "Fortunately the wind better accentuates my good side." Thoughts: I skimmed over it slightly, but there’s going to be a reunion of Kircheis with his family that will have to come up. 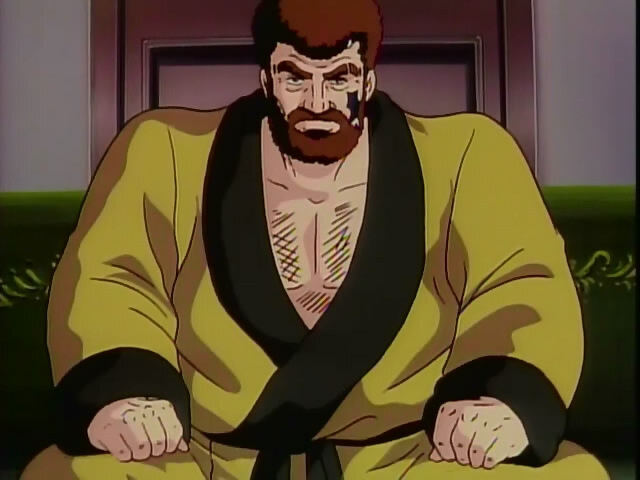 Also, there absolutely must be a final battle between Luneberg and whoever does him in. Reinhard is also about due to get his own flagship, or does he have to get to Vice Admiral to get that? I suppose I’ll find that out soon. I really liked this episode – the scene with Ovlessor and Luneburg was my favorite. An important reason why Ovlessor didn’t assist Luneburg was because as a ground combat officer, Luneburg could only ever advance to High Admiral -and the High Admiral of ground combat troops was … Ovlessor. Easy mistake on my part. Here I was thinking that at the lower levels of command that flagships were pretty much interchangeable. That may be true to a certain extent still. But I can’t think of any other examples. I used to think Wagenseil’s Valendown was an example but that was because I confused his rank – he was a full Admiral, not a Rear Admiral as I originally thought.